Smartphones are a central part of global commerce. Moreover, consumer electronics have changed the way we live. Now, as the auto industry electrifies, global transportation is set to rely on the same technology that powers mobile applications. 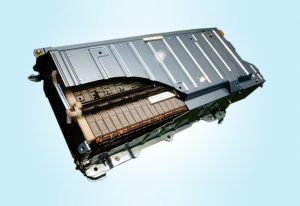 The underlying technology is enjoying a renaissance, as the Li-Ion battery leads the clean energy power market. The technology has been around for decades and its use continues to rise. Currently, electric vehicles enhance its value. Most of the world’s largest automakers have gone green. However, their reasoning isn’t strictly eco-centric. Instead, companies like Volkswagen have determined that financial success goes through EV adoption. Consequently, brands like General Motors and Toyota steadily expand their electric fleets. As a result, Tesla’s market dominance is now under threat. Nevertheless, this is great for consumers. After all, competition breeds innovation. Although the Li-Ion battery leads the technology underlying this innovation, it’s not alone. However, it’s lead is strong. Projects exploring hydrogen-fuel cells and lithium-sulfur batteries enjoy serious R&D dollars. However, their funding and practicality pale in comparison to Li-Ion projects. 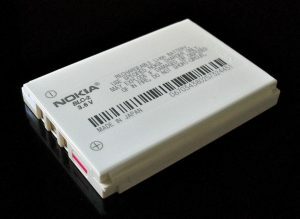 Commonly, research inches closer to developing a cheap solid-state version of the popular battery. Once this is achieved, both energy density and performance will increase. Moreover, solid-state lithium batteries are easier to mold. Consequently, they can be manipulated to fit inside every crevice of a vehicle’s chassis. Evidently, both national governments and multinational corporations have considered the implications. The German government recently approved a massive Li-Ion battery production facility. Similarly, both Indonesia and India spend billions to become production hubs. Ultimately, the lead enjoyed by Li-Ion technology won’t soon diminish. After all, Smartphone and electric vehicle adoption rates show no sign of slowing. Furthermore, grid storage applications use Li-Ion to power entire communities. Apparently, an increase in lithium’s value spells the end of fossil fuels.